Ford introduced their famous F-series of pickup trucks in 1948. This series of pickup trucks, offered in a variety of weight classes and functional capacities, has traditionally sold among the best pickup trucks on the market. 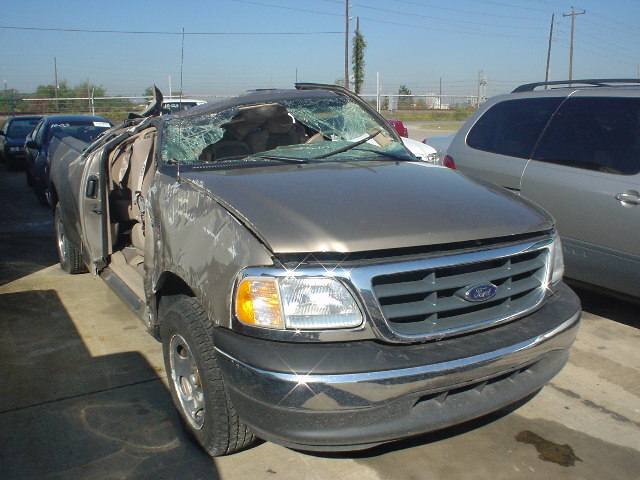 However, despite this popularity among American truck buyers, the F-series has been responsible for many rollover accidents that have left motorists with life-altering injuries. In particular, the F-150, considered the standard consumer model, has been linked to destructive rollover accidents across the country. The F-150 is a full-sized pickup truck meant to provide consumers with significant space for cargo and many of the luxuries associated with driving a sedan. In a sense, this best of both worlds approach has kept consumers purchasing F-150s, even if they don't necessarily need the towing or storage capacities of the truck. However, these benefits often cause consumers to overlook the dangers in the design of the vehicle. F-150s, like other pickup trucks, are designed to provide a large amount of power for motorists, while also providing room for plenty of cargo. This means that F-150s commonly have tall cabs due to the space needed for the larger mechanical components and larger cargo space in the bed of the truck. However, the increases in height don't come with substantial enough increases in width to prevent rollover hazards. Because F-150s have tall profiles and comparatively narrow bases, sharp turns can prove extremely dangerous. The top of the vehicle, failing to be stabilized by a wide base, may cause the forces of a turn to actually pull the vehicle into a roll. From a design standpoint, this increased height makes it considerably more likely that an F-150 pickup may roll over when compared to a lower, equally wide sedan. This design flaw has been a significant safety concern for Ford, as other models of trucks and SUVs have undergone safety recalls in an attempt to decrease the number of rollover accidents suffered by Ford drivers every year. Although F-150s often have good crash safety ratings, the 2012 model of the F-150 illustrates the vehicle’s rollover dangers through its rating on the National Highway Traffic Safety Administration's rollover tests. This government agency gave the four-wheel drive F-150 only three of five stars in rollover tests, while the two-wheel drive model ranked a higher four of five stars. This mediocre rollover test rating shows that these vehicles may prove safe in some crash scenarios, but may not be designed to avoid rollover accidents. Throughout the exceedingly long production time for the F-150, Ford has still failed to completely address the safety issues that cause rollover accidents in these vehicles. As a result, consumers buying this extremely popular vehicle may be left with severe injuries due to a dangerous design or manufacturing defect. If you or someone you love has been injured in a rollover accident in an F-150, the cost of treatment and recovery may be too much to handle on your own. However, these rollover accidents are often considered the fault of the automotive manufacturer or the parts manufacturer responsible. To learn more about pursuing legal action after an F-150 rollover accident and how compensation may be able to help, contact the Willis Law Firm by calling 800-883-9858.